(Yonhap) — Jun Ji-hyun, the star of the mega-hit TV series “My Love from the Star,” ranks No. 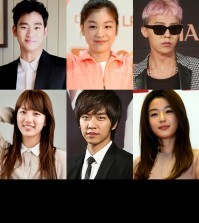 1 on the value of real estate holdings among female celebrities in South Korea, market research showed Wednesday. The combined value of buildings owned by Jun in southern Seoul was estimated to be worth 13.15 billion won (US$12.72 million) as of end-July, according to Chaebul.com, a website that tracks the wealth of the rich. The appraisal, used in setting tax rates, is based on construction costs and the property’s age and location, but the actual market value is believed to be nearly threefold. With the market value of her real estate holdings estimated at 23 billion won, Jun ranks in first place among her fellow female entertainers, according to the market researcher. Out of all celebrities in South Korea, the actress ranked fourth, up three slots from a year earlier. Chaebul.com appraised the real estate holdings of 40 top-level celebrities, 18 of whom were found to own buildings officially valued at 10 billion won or higher. 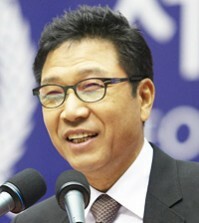 Lee Soo-man, the head of the top talent agency S.M. Entertainment Co., ranked No. 1 among all entertainment businesspeople, with his property tagged at 20.92 billion won, according to the market researcher. YG Entertainment Inc. chief Yang Hyun-suk and singer Seo Tai-ji came in second and third with 19.32 billion won and 17.58 billion won, respectively. Greetings, welcome to The Illuminati World. Are you interested in becoming one with the society of light?